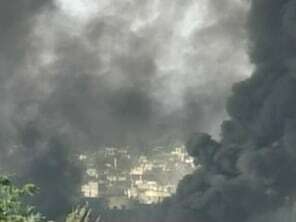 May 21: The Lebanese army battles suspected al-Qaida militants at a refugee camp in Lebanon. NBC's Tom Aspell and Lt. Col. Rick Francona talk about the siege. Deadly clashes between Lebanese troops and Fatah Islam, a shadowy group believed linked to al-Qaida, take toll on soldiers, militants and civilians alike. CONTINUED : Potential for a civil war?